Need inspiration or help designing a new airline uniform or choosing the next corporate look. 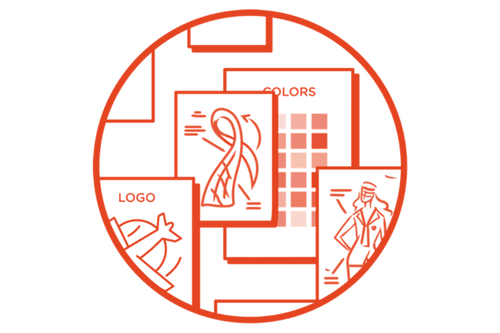 Our specialists give you all the insights to take your visual identity to the next level. Consistency. Consistency. Consistency. Breed consistency. Uniforms are an extension of your brand and culture – and help create a sense of belonging ➜ align uniform design with brand strategy and breed a coherent look across client touchpoints. Just apply a bit of due diligence and align uniform design to your brand look and feel. Standard uniforms will get you a long way. Not every company has a need for customizing their entire uniform program. Scale and customization are often related, as customizing all items is a demanding process. Thus, we often see airlines and large companies opting for a customized look tailored to their needs and demands ➜ and solutions involve everything from creating sketches and deciding on fabrics to fitting sessions and more. But standard solution doesn´t equate boring. Standard simply implies tried and tested contemporary solutions that cover most uniform needs and design requirements – and solutions can still be individualized by incorporating elements to match the company look and feel. Skim through our range of ready-made yet stylish uniform garments in navy, charcoal and black – along with white shirts. Add an individual touch with carefully selected details to showcase your company heritage or cultural legacy. Icelandair does this to perfection by combining Icelandic heritage with a contemporary design. Flytoget (express service to Oslo Airport) fuses navy with orange, resulting in a classic yet stylish corporate uniform solution. Spare a thought for wearers in the design phase. Functionality and comfort trump design. If not, you run the risk of unhappy wearers, leading to reduced employee satisfaction and loss of productivity. Check all our uniform fitting hacks here: uniform fit. Or reach out if you need more information or assistance.